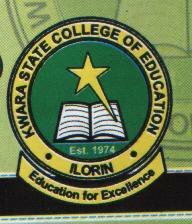 Kwara State College of Education, #KWCOE induction ceremony for the presentation of Teachers Registration Council of Nigeria (TRCN) certificate to NCE graduands 2014 to 2017. 1. The TRCN certificate is now mandatory for graduands of NCE holders and other related education programmes as it is only the collection that will now give you the license to teach. 3. You are expected to collect the academic gown that you will use for the ceremony at the student affairs unit at the rate of N1,500 only.